I use the first-generation Echo Plus every day, and it was one of the best tech purchases I made last year. It was a great smarthome upgrade for $149, but at its current $80 price, it’s a no-brainer. If you’re a smarthome enthusiast thinking about finally getting an Amazon Echo device, your choice is clear: the Echo Plus. Unlike other Echoes, the Plus has a ZigBee antenna built inside. This antenna lets the Echo Plus work directly with certain smarthome accessories, like Philips‘ Hue bulbs, which usually require plugging in an additional hub, which acts as a bridge to let the smart bulbs and Echo work together. I’ve owned the first-generation Echo Plus to replace my original Amazon Echo, and it was the best smarthome upgrade I’ve made. The Plus has a better speaker, and setting up my pre-existing smarthome accessories with it was extremely easy. To pair new accessories, all I had to to say was „Alexa, discover devices,“ and wait a minute for the Echo Plus to scan my apartment. The new accessories would pop up, and I’d be all set. Some smarthome tech, like Eufy’s 30C smart vacuum, will still require downloading a separate app for setup, but many can be found automatically. These improvements are significant if you use the Echo as a standalone Bluetooth speaker, but they don’t make a difference if you plan on pairing your Echo with an external speaker. 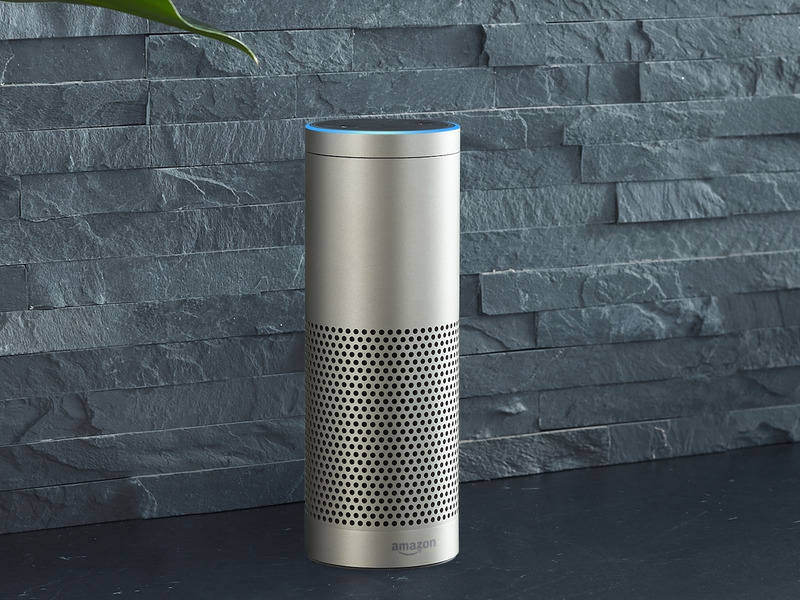 There are no differences between the first and second-generation Echo Plus as a smarthome hub. I paid $150 for the first-generation Echo Plus last year, and it was one of the best tech purchases I made in 2017. If you’ve been on the fence about an Echo, or have been trying to plan out the simplest way to start or expand your smarthome, don’t miss this deal.